Lawyers for Catalan politicians facing charges of rebellion urged judges to remain impartial as Spain’s politically charged “trial of the century” began on Tuesday. 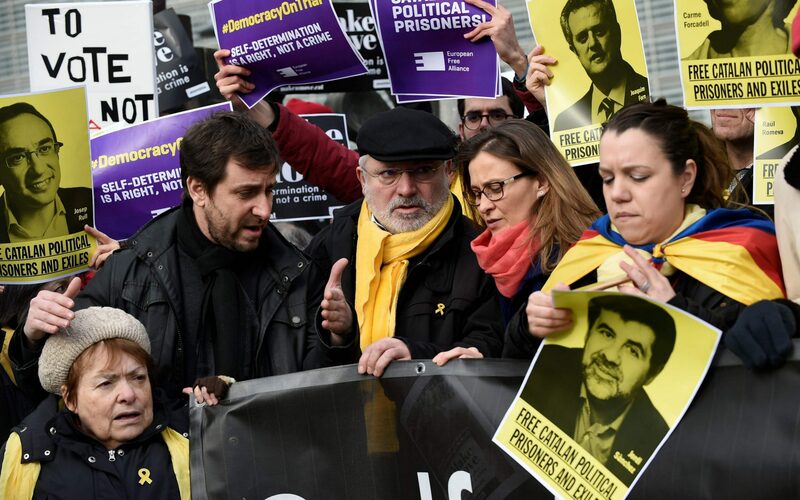 “Act as judges, not as saviours of the nation,” said Jordi Pina, defence lawyer for three of the twelve accused on the opening day of the trial in which pro-independence politicians face jail sentences of up to 25 years for their roles in the 2017 independence referendum. Nine are charged with rebellion and three face lesser charges of disobedience and misuse of public funds, and the nation tuned in to watch the proceedings being televised live. The lawyer accused authorities of violating the defendants’ fundamental rights, and argued the accusations of crimes such as rebellion and sedition were completely disproportional. Previous articleWhy was El Chapo tried in New York and what crimes is he accused of? Australia election polls 2019: Who will win Australian elections? What are the KEY issues?